It’s always fun to get together with people we have not seen in a while. Sitting around the table and sharing stories, reminiscing about days gone by, the amazement at how times – and people – have changed and how the children have grown and; of course, the making of new memories. Yes, this is what reunions are all about – whether they are family gatherings or a high school reunions. However, as great as the high school or family reunions are, there is often a common problem. Where do you host such a large event? After all, you need a space that can accommodate a significant number of people without being crowded – and, if you can find a venue that makes incorporates catering and other luxuries, then it is even easier for everyone! Gala Events Facility is just the place! Whether you are planning a reunion for extended family and need a place that is fun for the young and old alike or are planning a class reunion and need a venue that can handle large numbers, Gala is the perfect location. Better yet, no matter the type of event you are planning, we have people who are skilled in helping your time together go smoothly. So, now that you recognize the advantage(s) of opting for an event venue, there are some things you will want to consider. Book your time at Gala sooner, not later. Quite often people want a Saturday or Sunday for an event, and when it comes to booking the perfect day for food, fun and fellowship, you want to start planning now. Ideally, you need to give yourself at least 4-6 months from the day of the event. As much as possible, choose a location that is convenient to as many people as possible. If numerous people will be coming to your reunion, then there will be a lot of vehicles. A venue such as Gala Facility can accommodate your friends or family members’ many vehicles. As soon as possible, have an idea of how many people will be attending the reunion. You need to know that the venue is large enough to accommodate people. 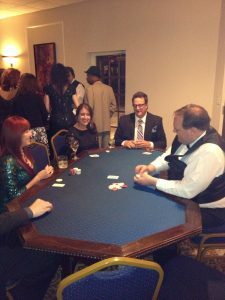 At Gala, we can easily entertain up to 150 people for one event. Let the event venue be responsible for table linens, seating, etc. You don’t need to be concerned about table elements. In fact, at the end of the day, Gala even has a team of people who are ready to help with the breaking down of your reunion. No washing dishes or taking out the trash required. Don’t hesitate to work with a party planner. These people know how to take any reunion and make it better than ever. Our Gala event coordinators will hear your ideas and implement them with ease. Selecting Gala Events Facility as the location for you next reunion means you can just enjoy the day. Sure, you will need to invite those VIPs, but on the day of the class or family reunion, you can be the social butterfly and enjoy hanging out with everyone -not spend time tracking down flatware or additional seating. So, contact Gala Events Facility today so you can be steps ahead of reunion planning process!